It is difficult to review television without giving away something of the plot. Tread lightly if you haven't seen the series in its entirety. 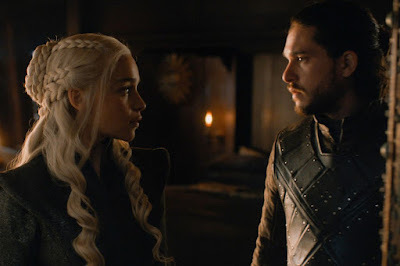 As the threat from the White Walkers grows ever more imminent, Jon and Daenerys finally acquaint as they quarrel over patronage before coming to terms with an alliance and a potential love affair and Cersei and Jaime prepare for war at King’s Landing while the surviving stark siblings have a bitter reunion at Winterfell as Littlefinger’s presence ominously looms. As the end nears in this first half of the final season, the pace is quickened, the storylines converge, and the number of battle sequences increase, the series is still bogged down by unnecessary asides, woeful plotting and characters, absolutely insipid dialogue. 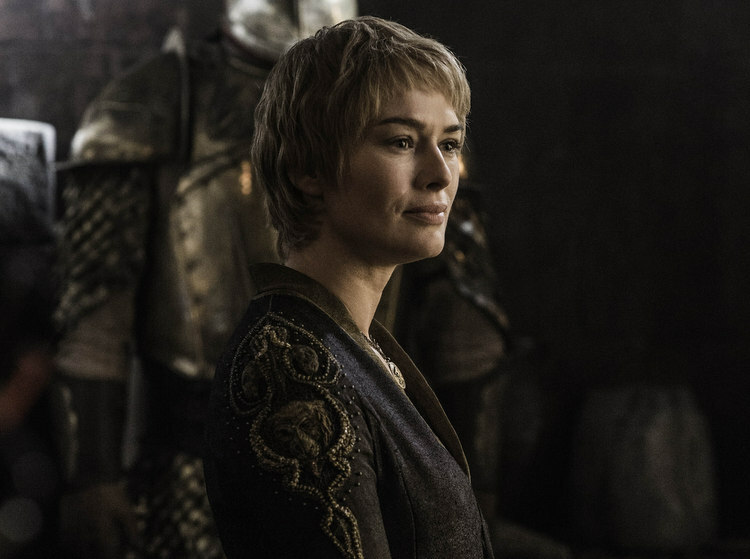 Cersei plots revenge while sitting back helpless in humiliation as her son is taken in by the High Sparrow and the gods, Arya learns some harsh lessons in life and death, and Sansa, after being rescued by an unlikely source, reunites with an unsurprisingly resurrected and differently composed Jon as they gear up to retake Winterfell from the odious Ramsay Bolton. In this first season without George R.R. Martin as a writer and as the series eyes the finish line and moves all of its pawns into place, it is nice to see the pace finally pick up with so much finally happening in this multi-storied universe, with also some incredible set pieces to boot in the latter episodes. Still the quality of the dialogue seems the worst its ever been, some stories still seem stuck in limbo (i.e. Daenerys and Tyrion), while Arya's would be powerful tale comes off as insipid and disappointing. An act of treachery at the Royal Wedding sends Tyrion toward a new destiny and Sansa into greater peril. 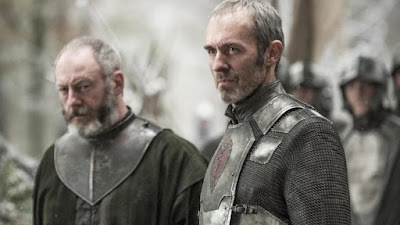 Daenerys learns how to rule over the recently liberated Meereen and Stannis provides relieve to the Night's Watch only to find more obstacles on his quest to the Iron Throne. The fourth season of Game of Thrones is a marked improvement over the previous one, with the intrigue at King's Landing exciting enough to cover for the dull wheel spinning that continues to go on elsewhere (i.e. The Wall, Meereen), only to return for a dreadful, monotonous fifth season that brings nothing closer to resolution except in killing off several major characters in the end, which surely will thrill many fans but seems a giant waste of their protracted storylines. Without having read the books, it almost seems as if George R.R. Martin crafted an excellent first entry, which was then adapted into a great first season, and then had absolutely no idea what he signed on for or where it was going after that. While watching the "previously on" segment for Sunday's finale I realized that I had never seen a show with so much going on where so little actually happens. As three challengers to the throne march upon King's Landing, an unexpected foe lays siege on Winterfell, causing more turmoil and heartache to the already beset Stark family. Tyrion has his hands full as Hand of the King in dealing with his treacherous sister and malevolent nephew. Daenerys, her dragons, and dwindling tribesman remain stranded across the Narrow Sea and Jon Snow begins his tour beyond the Wall as the dreaded Winter finally arrives. 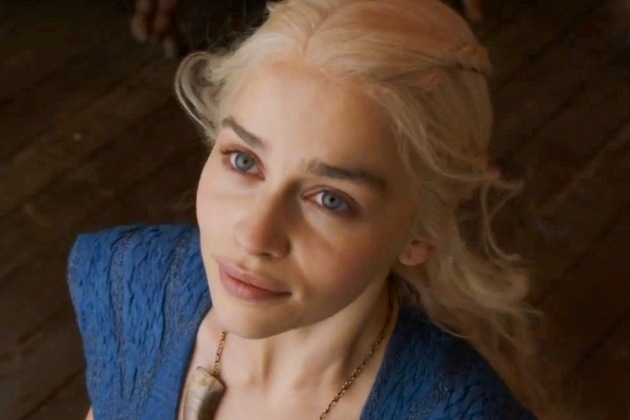 Following the spectacular first season of Game of Thrones, the followup series, while still maintaining a high level of interest, meanders and goes in circles for many of its story lines, and ones which were the top draw in season one (ie Daenerys, Jon Snow and the Wall, Rob Stark and his army) now seem to have lost their way and are stuck in standstill for virtually this entire round. Also, following the exit of Sean Bean, the show does not have a lead actor to anchor itself around and while Peter Dinklage (who went from Best Supporting Actor Emmy Winner to first billed in the credits) is excellent, he is not a leading man. I was still engaged with this season. 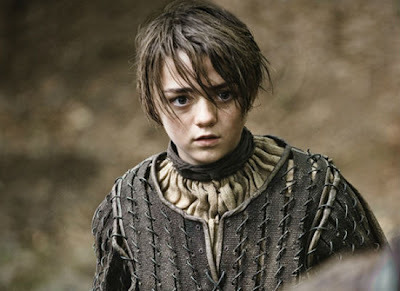 The court intrigue and Arya's storyline worked best for me but the show seemed only interested in its primary story, which was made evident in the climactic Battle of Blackwater episode. 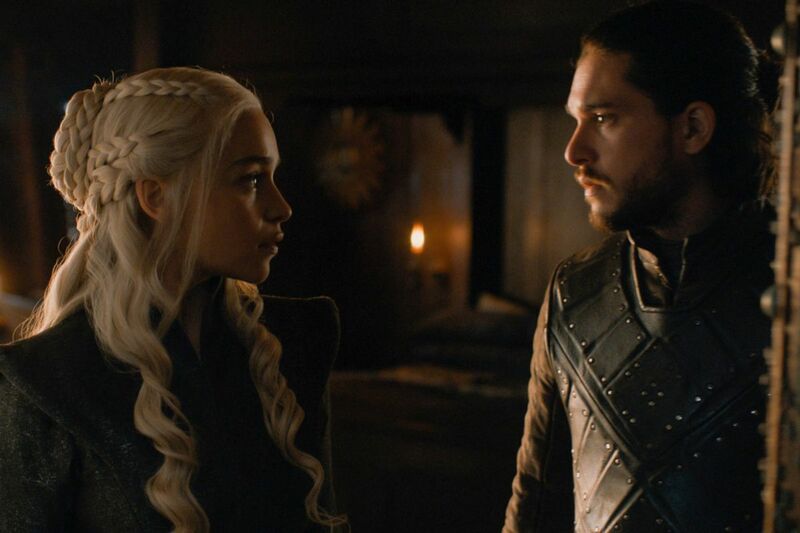 "Game of Thrones" is a vast drama, and about as in depth as anything you can expect from television that still nonetheless needs to iron out its storytelling kinks. A long and brutal winter is approaching the kingdom of Westeros and treachery is afoul as the Hand of the King has been murdered. Surrounded by the cunning and powerful family of his duplicitous wife, King Robert Baratheon sends for his old friend and battle mate Eddard Stark to take up the position of the deceased and be unwillingly hurled into the deadly title scheme. The HBO adaptation of the George R.R. Martin novels is an excellent entry in the fantasy genre, simultaneously telling an involving, intelligent, violent, but grounded other worldly tale. Filmed throughout Northern Ireland and Scotland, as well as in parts of Morocco, the series features the most stunning visuals to be found in any television series. 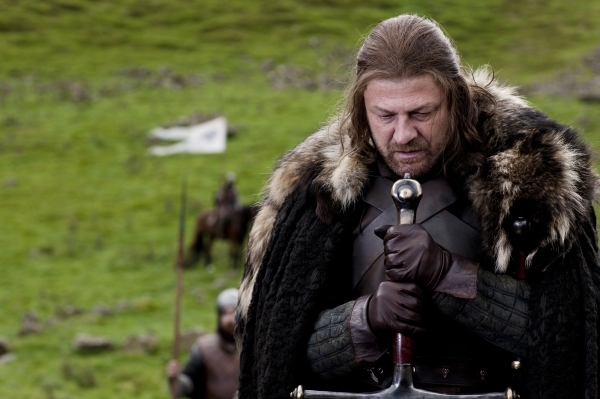 Its epic cast of mostly British players is uniformly excellent and if forced to select a handful as my favorite I would chose Iain Glen as a courageous exiled knight, Emilia Clarke as his queen and charge, samely exiled, Peter Dinklage as a witty and underestimated dwarf, and Sean Bean as the noble, sullen Eddard Stark. "Game of Thrones" is wonderfully engaging entertainment that isn't afraid to break the "rules" of television and has characterization and intelligence to match its harsh tone and violence. A young man groomed to be an officer in the Queen’s Army fears himself to be a coward and, believing himself to be in the right, resigns just as his unit is being shipped off to fight the Khalifah in Sudan. Shamed by his friends, he must use his own means and backchannels to prove his mettle to them, his new bride, and himself. 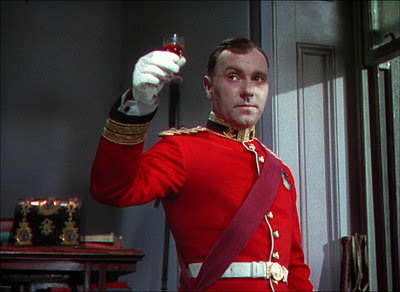 Zoltan Korda’s The Four Feathers displays a radiant Technicolor decades ahead of its time, a fine cast of characters (including Ralph Richardson and C. Aubrey Smith), and a rousing telling of A.E.W. Mason’s story though some of it is diluted by many protracted sequences. While carousing in a basement barroom during intermission, a sworn enemy intercepts a rendez-vous note from the show’s star as the poet tells the tragic stories of three long-lost loves. 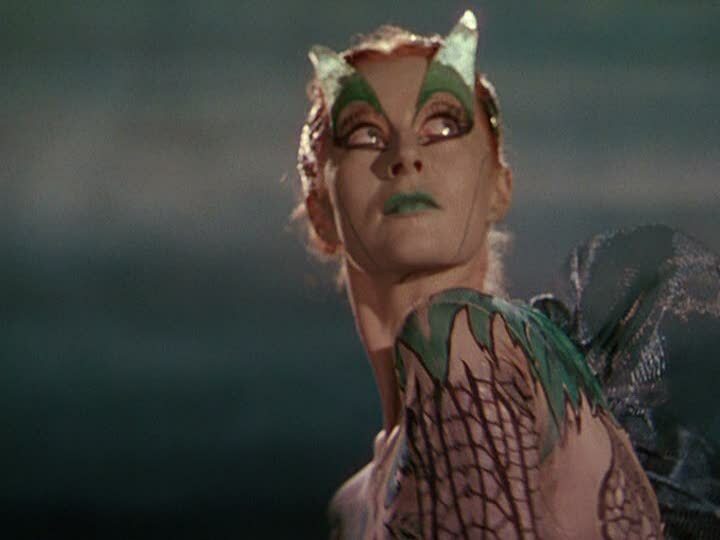 Done in Michael Powell and Emeric Pressburger’s grand style, The Tales of Hoffman is an uncompromising vision of Jacques Offenbach’s opera featuring stunning singing and dancing (including Moira Shearer fresh off of her appearance in the filmmakers’ The Red Shoes) and outlandish and unforgettable set design. A Nebraskan deputy sheriff (David Morse) tries to understand and welcome his troubled brotlher (Viggo Mortensen) into his home after his return from Vietnam, but his wayward nature puts him on a course of self-destruction and in contention with everyone who crosses his path. Much of Sean Penn's directorial debut resonates, with a story inspired by Bruce Springsteen's Highway Patrolman, but the movie is pretentious and immaturely conceived, lethargic and overlong. Morse is a strong, stoic presence and Mortensen has his moments if the overall performance is inconsistent. Eight passengers man a lifeboat after their ship is torpedoed and sunk by a German U-boat, which is also simultaneously struck. When the sub's captain is pulled aboard, he is greeted with hostility and paranoia although his knowledge of the sea may be the only thing guiding the vessel to safety or peril. Confined entirely to the small craft, Lifeboat may be Alfred Hitchcock's most atypical work though it is creaky and plays almost like social theater of the era. An excellent cast buoys the production with standouts including Tellulah Bankhead as a spoiled and worldly journalist, William Bendix as a wounded traveler, Hume Cronyn as a novice sailor, and Walter Slezak as the shifty German. 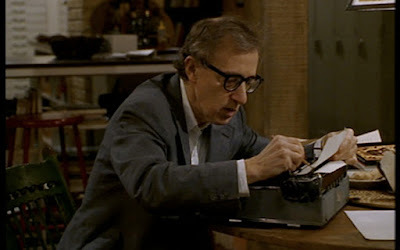 A writer (Woody Allen) is being honored by his college (which incidentally expelled him) but can’t find anyone to attend with due to his alienation of friends and family through his work, which is brought to life in heightened, mirrored vignettes. Allen’s reworking of Wild Strawberries is a self-revealing and at times jarring and atypically profane black comedy that employs an irritating jump-cut technique but is still mostly very funny. After a shuttle is spacejacked, 007 travels to a billionaire's (Michael Lonsdale) Californian compound and then the far reaches of space while, with a the help of a sensual CIA agent (Lois Chiles) posing as a research scientist, uncovering a genocidal plot to wipe out the world's population and start anew with only the most beautiful members of each of race. 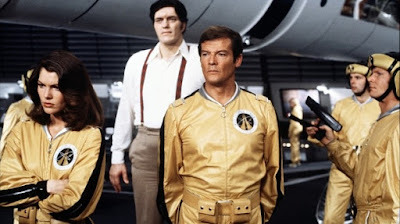 After a series peak with The Spy Who Loved Me, the Bond series returned with this curious piece of cheese and obvious Star Wars ripoff that approaches so bad its good territory. 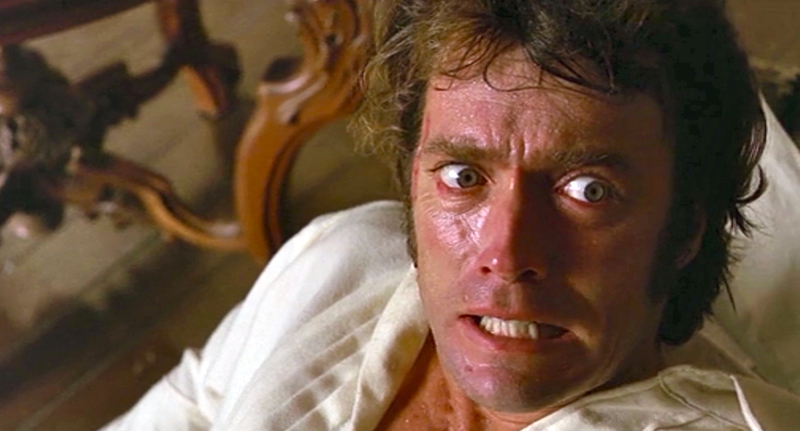 Lonsdale makes an adequate villain and Richard Kiel's return as Jaws is much welcomed. A disaffected auto recall adjuster (Edward Norton), suffering from insomnia and addicted to 12-step groups, finds his life radically changed by a nihilistic, narcissistic soap procuring stranger (Brad Pitt) with their initial creation of underground boxing clubs growing into something more radical, coordinated, and dangerous. From Chuck Palahniuk’s novel, David Fincher’s cutting edge and kinetically crafted Fight Club is often cruel, unpleasant, and ultimately senseless though it strikes a resounding chord while sending out mixed messages. Norton, Pitt, and a crucial Helena Bonham Carter are all at the top of their craft. 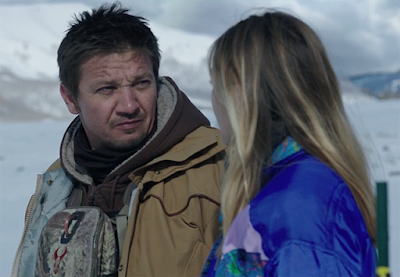 While searching for a predatory mountain lion on a Wyoming Indian reservation, a hunter/tracker (Jeremy Renner) for the Fish and Wildlife Service instead locates the raped and murdered body of a young Native woman who died in the same fashion as his own daughter several years earlier. Still grieving himself, he teams up with an FBI agent (Elizabeth Olsen) and local law enforcement in an effort to track the killer. Led by a commanding and stoic Renner performance and featuring beautiful location scenery, Taylor Sheridan's Wind River is an often profound mystery thriller that favors character and emotion over action, while purveying all exceedingly well. 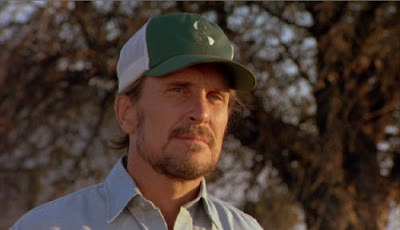 A broken down country singer (Robert Duvall), estranged from his work partner wife (Betty Buckley) and their 18 year old daughter (Ellen Barkin) and lost in the bottle, is shown sympathy by an angelic single mother (Tess Harper) who runs a gas station/motel in the desolate part of Texas. As the two connect and marry, the singer attempts to repair his soul while fixing old wounds and moving on with the next act of his life. 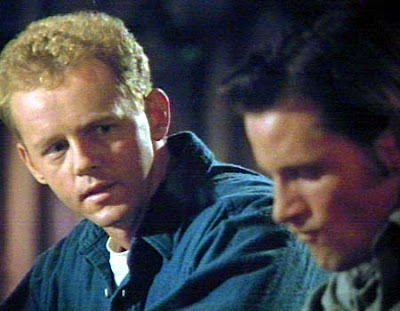 From a screenplay by Horton Foote, Bruce Beresford's Tender Mercies is a rare kind of film in that it embodies quiet and good-naturedness and resolves to be always emotionally honest. Duvall, in his sole Oscar winning role, is reserved, moving, and shows an aptitude for singing, some of the songs which he wrote himself. Harper is lovely as the young widow, Buckley is strong, and Wilford Brimley is great in support playing the latter's manager in a manner only he can. Beautifully photographed by Russell Boyd. After getting bad vibes from her murderous fugitive husband (Lew Cody) en route to their honeyman, a young beauty (Eleanor Boardman) hops off her train in the middle of the barren California desert and is rescued by an actor (Frank Mayo) riding a camel filming latest adventure story. Now she struggles to gain fame in the cutthroat industry, falls into a love triangle between the dashing male lead and a stern director (Richard Dix), while her husband, having noted her stardom, returns to reclaim her. Solid silent studio film contains great insider vantage points and cameos, including fascinating appearances by Charlie Chaplin at work and Erich von Stroheim on the set of Greed, and a fantastic, apocalyptic finale. A depressed neurotic expatriate (Woody Allen) romances a beautiful fellow American (Julia Roberts) in Venice with inside information through his daughter from her psychoanalyst while his ex-wife (Goldie Hawn) and current husband (Alan Alda) and the rest of their sprawling family frolic in New York City while falling in and out of love. The usual Allen fare musicalized to old standards, Everyone Says I Love You is too unfocused, light, and scattered but often very funny. Highlights include specters singing during a wake, Goldie and Woody’s elegant number along the Seine, and the closing Marx Brothers masquerade. 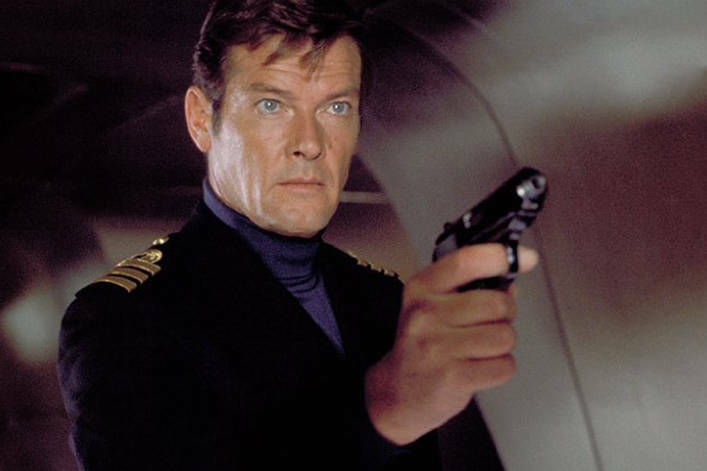 After British and Russian nuclear subs are hijacked by a maniacal billionaire (Curt Jurgens), with a gargantuan metal mouth henchman (Richard Kiel), a penchant for sharks, and hellbent on submerging the planet and creating an underwater civilization, Bond (Roger Moore) is called into action and paired with a slinky Moscow agent (Barbara Bach) with a deadly vendetta against the British spy. The Spy Who Loved Me is a surprisingly strong, well made, and often spoofed entry with Bach a game Bond girl and Moore finally settling into the role nicely. Jurgens makes a less than formidable villain but Kiel's entry into the series is both fun and menacing. An aspiring Motown singer (Algee Smith) and a friend, along with a security guard (John Boyega), a returning Army vet (Anthony Mackie), and others regrettably assemble at the Algiers Motel near the epicenter of the 1967 Detroit riots and find themselves victims of the crazed and tortuous police force searching for a sniper alleged to have fired from the establishment. Made with screenwriter Mark Boal, collaborator on her recent high profile projects (The Hurt Locker, Zero Dark Thirty), Kathryn Bigelow's Detroit is made with the sole and express intention to incite plus is scattershot and overlong, with too many unnecessary, drawn out scenes and underdeveloped characters, and a misguided inclination to treat the dreadful incident like a horror movie. A critically wounded Union soldier is discovered and taken into a Southern all-girls boarding school where he is reluctantly nursed back to health while he stokes the ire, passions, and curiosities of its residents. Don Siegel's The Beguiled is more diabolical and carnal than Sophia Coppola's recent respectable remake, made with a very 70s, hallucinatory aura, and a surprisingly talkative role for Eastwood who is quite, especially later on when his character becomes possessed with uncontrollable rage. A grieving bank auditor (Bruce Greenwood) seeks emotional comfort from a dancer (Mia Kirsher) at a specialized Toronto gentleman’s club which stirs the ire of her ex-boyfriend and house DJ (Elias Koteas) while an animal smuggling pet shop owner (Don McKellar) is brought into the damaged circle. Atom Egoyan’s Exotica is pretentiously and obliquely drawn but extremely involving and even spellbinding in parts, with a big assist to the Leonard Cohen soundtrack. Greenwood and especially Koteas standout in the cast. 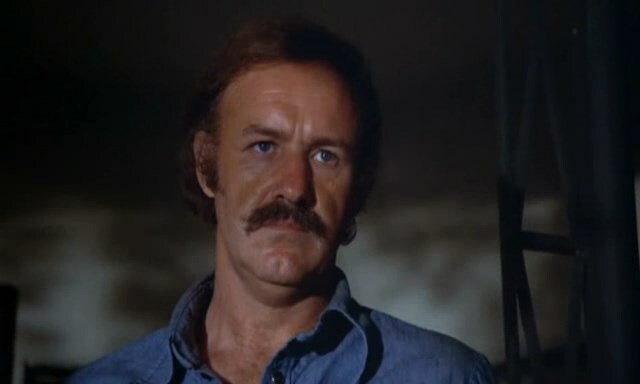 A cuckolded L.A. private eye (Gene Hackman), who finds his current line of work a far cry from his glory days on the gridiron, takes on the case of a missing teenager (Melanie Griffith) which leads him to the Florida Keys and ultimately has greater ramifications of plundering, sleaze, and murder. Made on the heels of Chinatown and perhaps mirroring that classic a little too closely in terms of plot, Arthur Penn’s Night Moves works marvelously both as a detective story and on an existential, psychological plane while incorporating a snappy, insightful screenplay into an involving story. Hackman shows his unique ability to play a sensitive tough guy and I can't imagine anyone else delivering these lines with such conviction and believability, although Penn doesn't direct the actresses well. A great master (Michel Piccoli) lives in his picturesque manor in the south of France having not painted in over ten years since he halted work on his masterpiece after the storm it created with his then muse and current wife (Jane Birkin). Now, he is visited by an art dealear, a photographer, and his beautiful, independent minded girlfriend (Emmanuelle Beart) who is seen as a new source of inspiration for the artist as the storms begin to brew once more as he believes he will now be able to finish his magnum opus. Though tough going at times and with an extreme running time, Jacques Rivette's La belle noiseuse is a painstaking, incredibly in-depth look at the creative process and how during which the human factor takes its hand. Piccoli and Birkin are excellent and the gorgeous Beart offers a fearless and nuanced performanced.